Low startup costs, shared common areas such as the kitchen, conference rooms, receptionist just makes sense not to mention the potential synergy created within the professional business center. In a year you’re feeling the growing pains and need to expand … no problem! You can either rent another office or move into a bigger one. Save money and your capital by using the center’s copier/scanner/fax on a fee per page basis. No need to invest and risk your own capital before knowing your revenues can justify it right? So, before commiting the committing to a long Term lease or buying into a commercial condo with all it entails, be sure your concept is proven first. The price for a closed office space will vary according to the size and location within the center and the city. 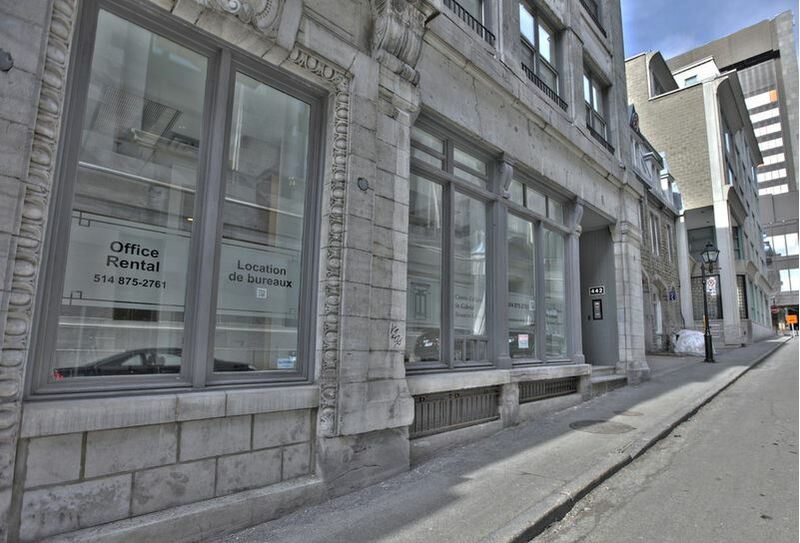 For instance a first-class Business Center address in downtown Old Montreal, Canada starts at only 450$ per month which includes high speed Internet, janitorial service, use of conference rooms, state of the art copier/scanner and receptionist. How would this sound as a business address: 442 Saint-Gabriel, suite 100, Old Montreal, Quebec, Canada. It ouzes profesionalism and great for your corporate image. You can sign a one year contract for a small office that comes funished or not and benefit from the comon areas such as the kitchen, 2 conference rooms, washrooms, reception area … and curtious receptionnist to greet your clients during business hours. Saint-Gabriel Business Center is a short work from metro Place d’Arms, the Old Port, the Courthouse, fine restaurants, City Hall, Art galaries, Place Jacques Cartier, Marriot Hotel, Chinatown and many cultural attractions. Renting an office or even a having a mailing address in our Professional Business Center will give you access to all of our amenities and services. Nestled within Old Montreal’s splendor, you can be easily walk it’s historic streets in one day but will want to stay many more to absorb the essence of the city. Attractions, like the Point Calliere Museum, and Notre Dame Basilica, will no doubt have an impact on you with the soft light and sound that recounts a history of Old City and the old ports glamour days. You can visit the a local Public Market which offers an array of fresh-food and a wonderfull occasion to meet Montrealers and little expense. Cheers and don’t hesitate to contact us.